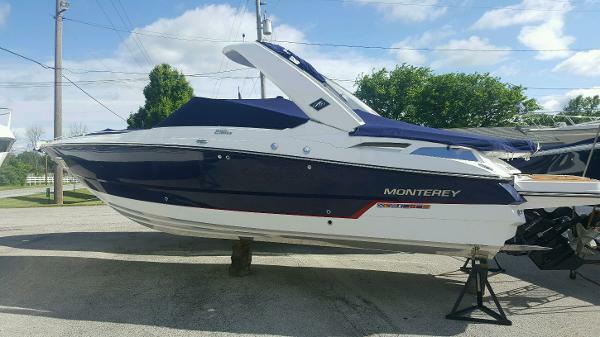 2016 Monterey 298 Super Sport CLEARANCE PRICED!! COME IN AND CHECK IT OUT!! 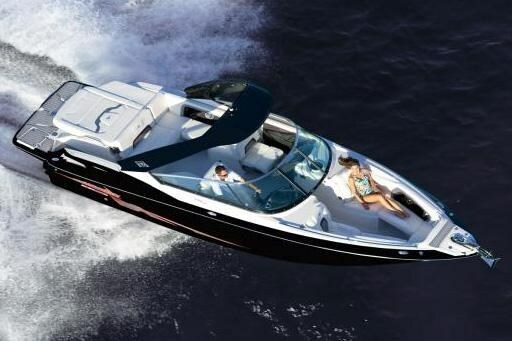 Combining luxury, technology, and performance, this beauty will change the way you think of powerboating. 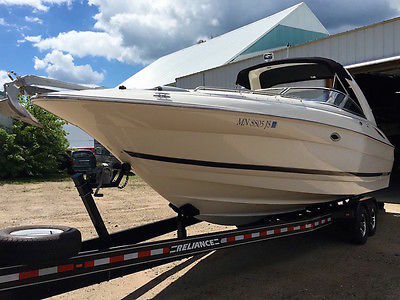 With a stable and comfortable 9 foot beam, the 288 comes standard with a roomy head compartment, and a huge aft seat stretching across the stern complete with flip-up backrest for lounging. Multiple cockpit configurations are available making this one of the most versatile party platforms out there. The 288 can be equipped with either a wet bar or an aft facing observer seat maximizing room and comfort. 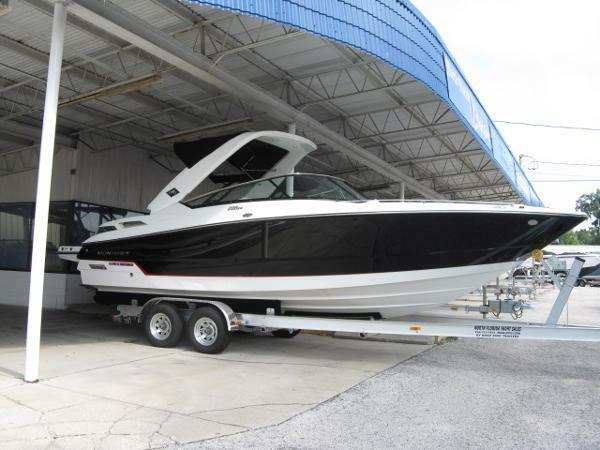 2017 Monterey 298 Super Sport 2017 MONTEREY 298 SUPER SPORT W/MERCRUISER 8.2 MAGNUM DTS B-IIIX, Woven Cockpit Carpet, Radar Arch w/ Bimini's, Seadek Inlay For Swim Platform, Bow & Cockpit Covers, Sirius Satellite Package, Quick and Quiet Exhaust System, Transom Shower, Stern Remote for Stereo, Dockside Discharge for Head, Beautiful Artic and Onyx Graphics. 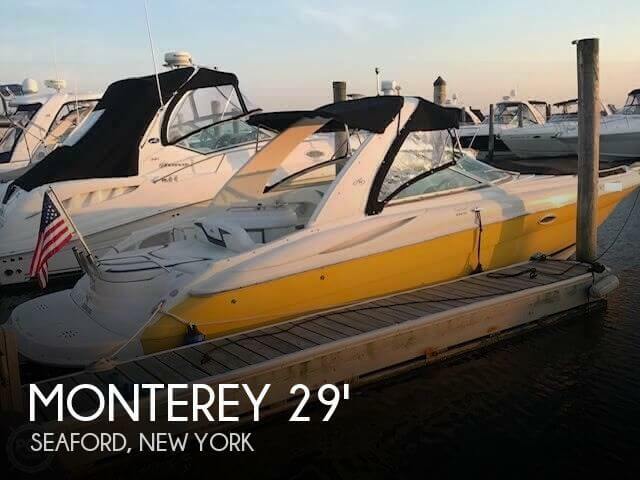 2016 Monterey 298 Super Sport BRAND NEW 2016 MONTEREY 298 SUPER SPORT W/MERCRUISER 8.2 MAGNUM DTS B-IIIX, Woven Cockpit Carpet, Radar Arch w/ Bimini's, Seadek Inlay For Swim Platform, Bow & Cockpit Covers, Sirius Satellite Package, Quick and Quiet Exhaust System, Transom Shower, Stern Remote for Stereo, Dockside Discharge for Head, Beautiful Artic and Onyx Graphics.